What just happened? Fallout Shelter, the 3 year-old free-to-play game, is vying to generate lifetime revenues of $100 million by the end of the year. It's probably a lot more than what Bethesda Softworks expected, and a great example of how a solid franchise can cross platforms. 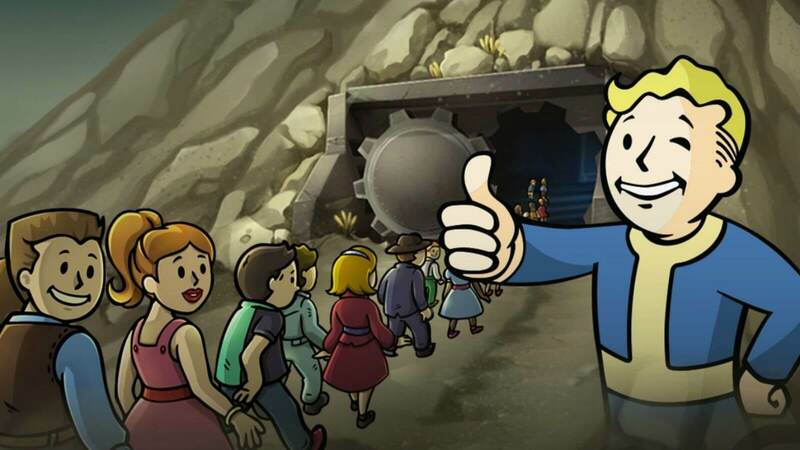 Mobile app analytics company Sensor Tower, has been looking at Bethesda's business and has noted that Fallout Shelter has generated lifetime revenues in excess of $93 million, on mobile devices alone. Sensor Tower's Store Intelligence service keeps track of app sales on Apple's App Store and Google's Play Store (but not platforms such as Steam). "At its current pace, we project that Fallout Shelter revenue on mobile will reach a gross total of $100 million before the end of 2018," said Sensor Tower's founder, Oliver Yeh. The recently newfound interest from gamers matches the announcement of Bethesda’s Fallout 76 MMO. Most micro purchases are coming from the US, the title generated $212,000 worth of sales last June, seeing the greatest upsurge in microtransactions since it peaked in September 2015 ($237,000). Sure, these amounts are dwarfed by titles such as Fortnite or Clash Royale (which generate millions per day), but then again Fallout Shelter is a niche game with a slower pace, that doesn't appeal to everyone. One thing you can say about Bethesda: they know how to keep their fans piqued, whether they're producing cool merchandising like replica Pip-Boys, or just by trolling them. $100 million in revenue on mobile, from a game that's as much fascinating as it is shallow, is nothing to sneeze at, and the telltale sign of a solid franchise with a huge fanbase around the world. With most microtransaction games sliding into pay-to-win territory, Fallout Shelter doesn't shove the purchases down your throat, but with trading card game finesse, keeps you wanting to chase down those missing items... until you surrender your hard-earned money. Considering the free-to-play title was originally launched on iOS (shortly followed by Android) as a gimmick 'tide-me-over' game to hold off the fans until the release of its next major Fallout chapter, Fallout 4, the three-year-old title continues to see considerable commercial success around the world. Thumbs-up indeed, Vault Boy. Thumbs-up indeed.